When Ryan Green, a video game programmer, learns that his young son Joel has cancer, he and his wife begin documenting their emotional journey in the form of an unusually beautiful and poetic video game. 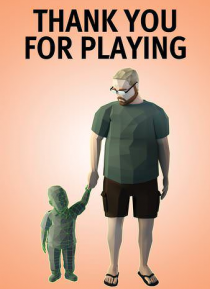 THANK YOU FOR PLAYING follows Ryan and his family over two years through the creation of "That Dragon, Cancer" as it evolves from a cathartic exercise into a critically acclaimed work of art that … sets the gaming industry abuzz. Lauded as "unimaginably intimate" by The New Yorker and "profoundly moving" by Indiewire, THANK YOU FOR PLAYING is a testament to the resilience of the human spirit and the ability of art and technology to document profound experiences in the modern age.